Students will be able to follow words from left to right, top to bottom, and page by page when reading text. Gather students together for a read aloud. Tell students that today you will be reviewing how to read a book, by following special reading rules. Remind students that a RuleIs something that tells you what kind of behaviors or actions are allowed or expected. Ask students to think about some rules that you have in the classroom (e.g., only writing or drawing on paper, quiet voices, sharing) and explain that just like in the classroom, we follow special rules to help us read books the right way, so that we can understand the story. Provide students with a sentence stem to support them in describing a familiar rule. Display the read aloud text and model thinking aloud (in a humorous way) how to determine which part of the book is the cover, "Hmm..I wonder if I should start here, at the back? No...that doesn't seem right, what about upside down?" Encourage students to shout out or share what you should be doing. Explain that you should always start reading the words from the top of the page and then from left to right. As you read the story, model reading top to bottom, left to right, and page by page by pointing to the words with your finger or a pointer as you read. Provide students with their own copy of the book to follow along as you read. Pair students together and pass out one of the texts gathered for this lesson to each pair. Tell each pair to work together to identify the front/back of their book, and to follow the words on each page from top to bottom and left to right (they can practise reading the story together if able/time allows, otherwise they can just point to the words without reading them). Pre-select books for students to use during the practise. Explain that now students will get to practise reading a text on their own while practising reading from top to bottom, left to right, and page by page. 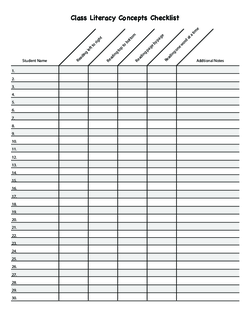 Display the My Reading Checklist worksheet and go over each section with the class. Pass out one of the texts gathered for this lesson to each student, along with their own copy of the My Reading Checklist worksheet. Select books of an appropriate level for students to utilize. 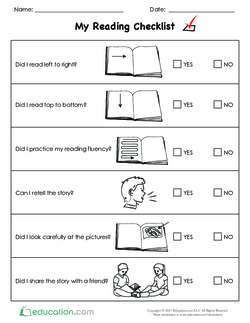 Model using the reading checklist in a small group format. Work with students to review the concepts using a choral reading activity. For advanced students or those ready for a greater challenge, provide them with an additional book to read and use the checklist. Encourage students to note their favorite part of the book and mark with a sticky note. They can then share their favorite parts with a partner. Work with a smaller group of students to read a familiar book as a group, while using the checklist. 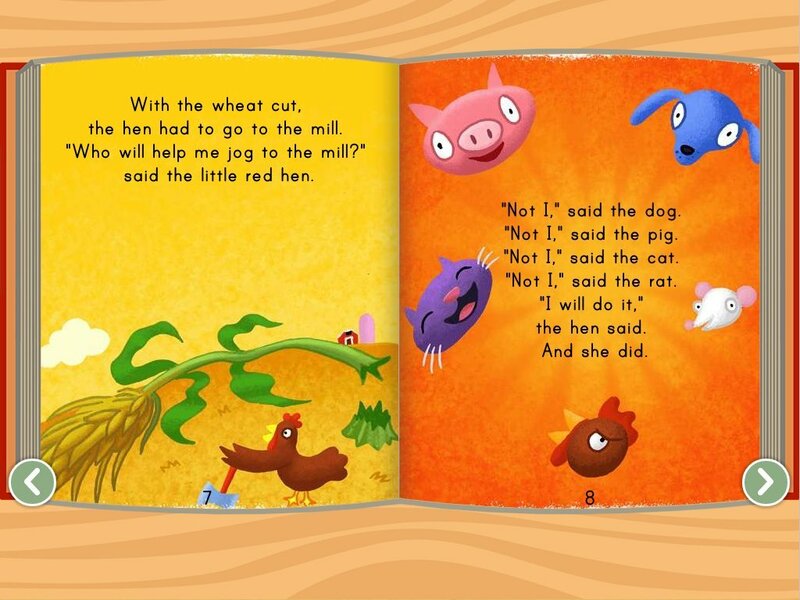 Provide each student with their own copy of the book to use during the read aloud. Go over any unknown or confusing words on the checklist in a small group setting. Have students work in pairs to practise using the checklist. 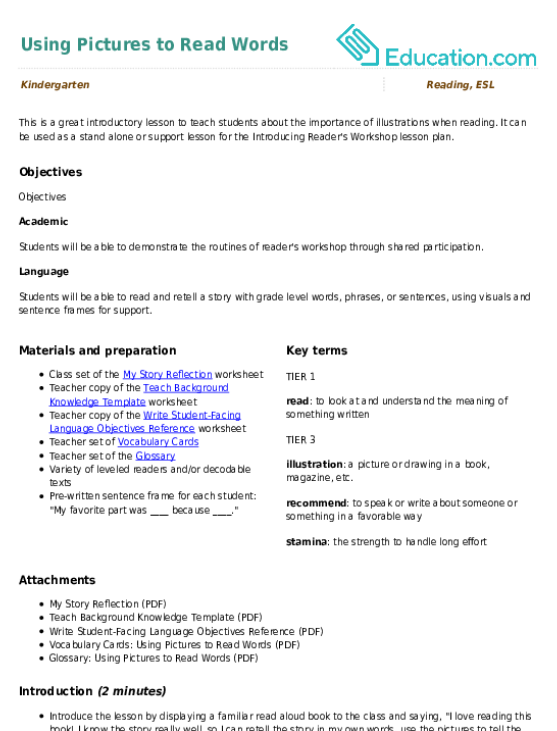 As students are working independently, use the Class Literacy Concepts Checklist worksheet to note if students are able to identify the front/back cover, read from left to right, and page by page. 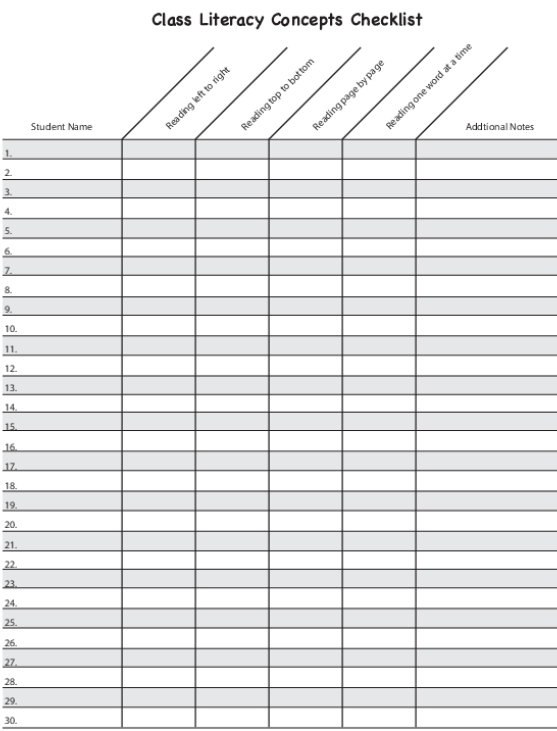 Collect student checklists and check that student self-assessments match teacher informal assessments, take note of any students who need additional instruction or reteaching of the concepts. Ask students to demonstrate their understanding by explaining the different parts of the checklist. Invite students back for an end of lesson review. Ask students to reflect on the lesson and turn and talk to a partner by finishing the sentence frame, "I used to think ____About reading a book, and now I think____About reading a book." Encourage several student pairs to share their thinking with the group. Display a sentence frame on the board for students to refer to as needed. This is a great lesson to introduce or review introductory literacy concepts with your students! Use this glossary with the EL Support Lesson Plan: Using Pictures to Read Words. Use these vocabulary cards with the EL Support Lesson Plan: Using Pictures to Read Words. This is a great introductory lesson to teach students about the importance of illustrations when reading. Read each sentence and then match the picture to the correct sentence. 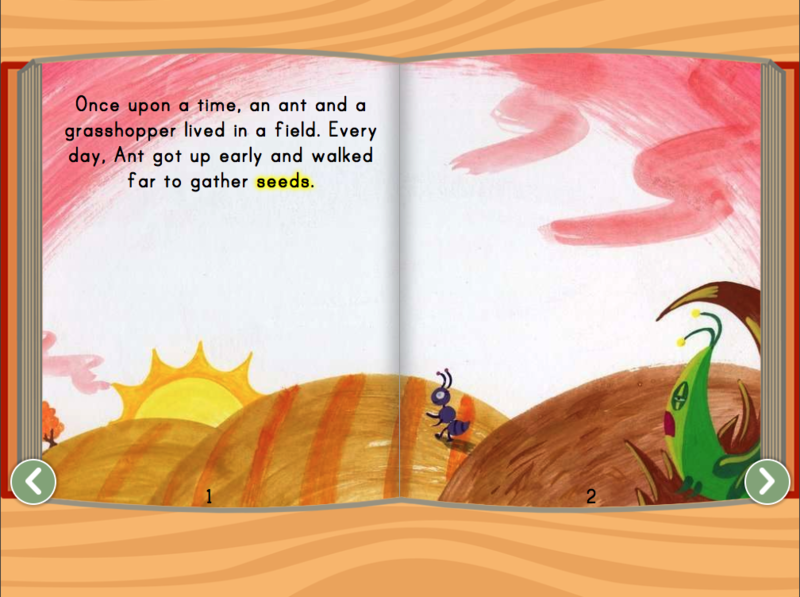 In this online version of The Ant and the Grasshopper, students will learn early literacy concepts like reading left to right and fiction comprehension. Help them improve their reading skills as they practise reading each sentence and match it to the corresponding picture. Read It and colour It! Year one students are excited to become better readers! Help them strengthen their reading skills as they practise reading each sentence then colour the picture. Year one students are starting to read! Help them hone their reading skills as they practise matching words to pictures in this fun worksheet. Use this handy bookmark to help your students practise good reading habits while keeping track of what they read. Match the words to the picture! year one students are starting to read and this worksheet will help hone their reading skills as they practise matching words to pictures. Kids learn about reaping rewards from hard work in this classic fairy tale.